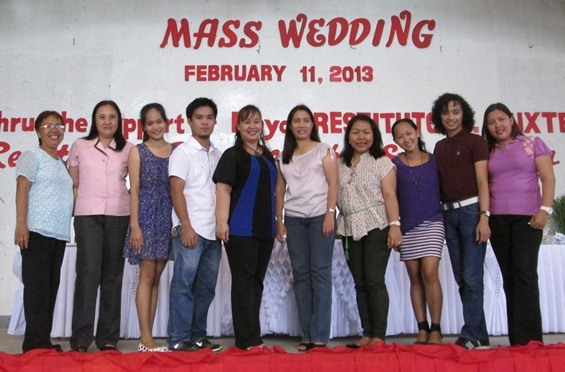 On February 11, 2013, at 9:30 A.M., Talibon witnessed the mass wedding of 27 couples at the Talibon Cathedral. Talking of mass weddings……seeing these couples wedded is not a rare sight. Yet, what is significant with this event is that the wedding was for FREE – both with regards to Church fees and those required by the Local Civil Registrar’s Office. It is not enough to say that the couples were “LUCKY”…it is more apt to say that they were “BLESSED”. Fees waived by the LGU-LCR totaled to P900 per couple (P200 each as service charge of the CENOMAR and P500/couple for their marriage application). In addition, the Municipality of Talibon, thru the LCR, set aside P330 per head to cover the decorations at the Cultural Center (where the reception took place) and food plus cakes & wine for the couples. 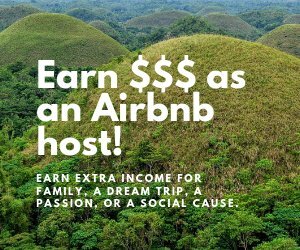 Also, thru the efforts of the LCR Staff, the Diocese of Talibon lifted or waived the fees normally called for in weddings, especially in Pre-Cana, baptism of the unbaptized and the unconfirmed. It is a one in a million affair wherein the Church & State, for the 1st time, moved hand in hand to help the impoverished and unwedded living partners – sacrificing each of their coffers for the common good and to bring back the erring children of God back to the fold of the church. The wedding was solemnized by no other than Msgr. Jonathan D. Pacudan who called upon the Mayor of Talibon, Hon. Restituto B. Auxtero, to give his parting words after the wedding rites. Mayor Auxtero has solemnized countless civil marriages, and most civil marriages of those present, yet he never fails to exhort Catholic couples to seek the blessing of the Almighty God because per his experience, marriage blest by God is stronger and more binding. The couples paraded slowly towards the Pres. Carlos P. Garcia Multi-Purpose Center for their reception after a short bout of picture taking. Like a true gala wedding, the couples walked thru a decorated ark and on a red carpet upon arrival at the Center; and each underwent the slicing and eating of the cake and the wine-drinking ceremonies. Food was distributed after a short program wherein the Mayor and Ms. Jessamyn Anne C. Alcazaren of the Provincial Statistics Office gave their exhortations. The presence of Mr. Arnel Maaliw, Executive Assistant IV of the National Statistics Office, Manila was also acknowledged. The Municipal Civil Registrar Office Staff headed by Mrs. Celestina T. Pentacase (5th from right) with Ms. Jessamyn Anne C. Alcazaren of the Provincial Statistics Office (4th from right and beside Ms. Genlo in striped skirt). February 2013 is Civil Registration Month with the theme “Civil Registration, Bringing Public Service Closer to the People”. And this public service has been met head on! A truly memorable wedding was enacted, thanks to the concerted efforts of the LCR Staff, led by their head, Mrs. Celestina T. Pentacase; with the approval of the Mayor in partnership with the Talibon Curia led by Msgr. Jonathan D. Pacudan.